Care Packages for Soldiers: Big Game Sports, Inc, Dallas, Donates Footballs to be Included in Care Packages! Big Game Sports, Inc, Dallas, Donates Footballs to be Included in Care Packages! Thank you Big Game for your donation of footballs. 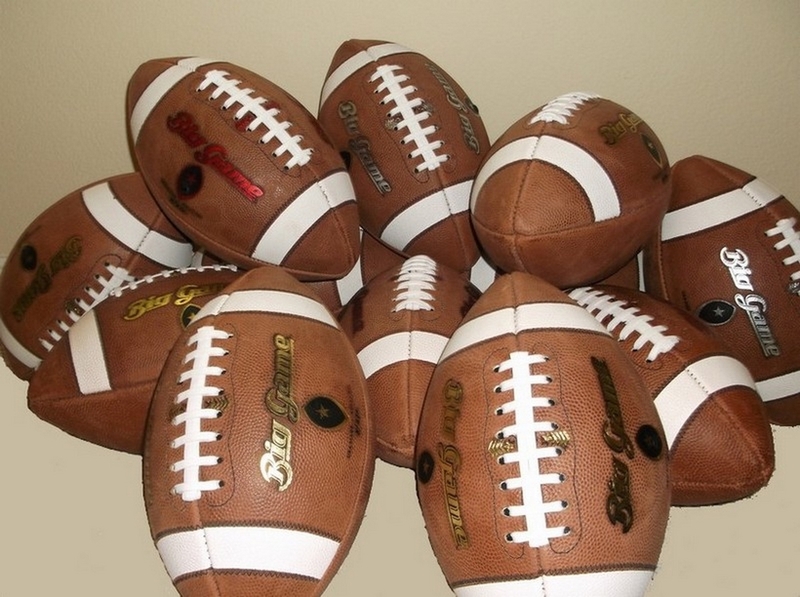 Our troops deployed overseas will be excited to receive these footballs in their care packages. Tossing a football with a buddy is a great way to relieve the stress of being in a combat zone and far from home. We hope our care packages bring a little taste of home along with much needed items like toiletries, snacks plus some added fun. The Airborne Angel Cadets of Texas welcomes financial or product donations from companies, individuals and organizations who are looking for an opportunity to support the U.S. troops. If you are looking for an opportunity to support our troops overseas with items that are often hard for them to find (shampoo, microwavable meals, razors, foot powder, powdered drink mix, room air fresheners, body wash, baby wipes, socks, basic toiletries, snacks, etc. ), our all-volunteer nonprofit organization would be grateful for your assistance. You can contact us at support@airborneangelcadets.com to get information on ways you can help. Footballs donated by Big Game Sports, Inc..